Now is a great time to invest in the American technology sectors, for example, investing in companies like Apple, Google, and Microsoft. The internet is the next frontier. It is highly disruptive and will grow strongly in the future at the expense of many traditional industries. For example, the rise of the internet has destroyed traditional print news and media. 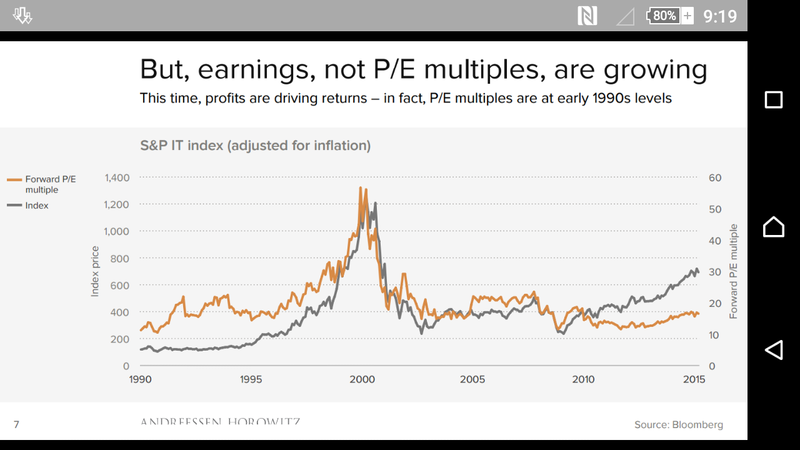 The price earnings ratio of the tech sector is very favourable. What if there is a crash? There is a possibility that we are about to face GFC 2. However, there is quantitative easing available for the government to correct for any downturn. Convention economic theory states that printing money makes no difference for an economy because it is offset by inflation. However, I believe this is not the case. As the government prints money, it uses printed money to buy up bonds and effectively lower interest rates. As interest rates go down, businesses borrow more, expand, and produce more. This higher output should push prices down. Even if there is inflation as a result of money printing, this is not necessarily harmful for the economy. Inflation will push up the price of shares, bonds, and property, which will increase wealth. Higher inflation will also encourage hard work. If the price of food were to double, wouldn’t you work harder just to survive? Americans can buy shares directly in, say, Apple or Google. There are also ETFs available that invest in the entire sector. For Australians, buying American shares directly is difficult and costly, so ETFs are the best option. An ETF I use is the Betashares Nasdaq 100 ETF that trades on the ASX under ticker symbol NDX.